Microsoft is rolling out a new big firmware update to Surface Pro 4 devices running Windows 10 Creators Update or later to improve the overall system stability, reliability, and potential security fixing. 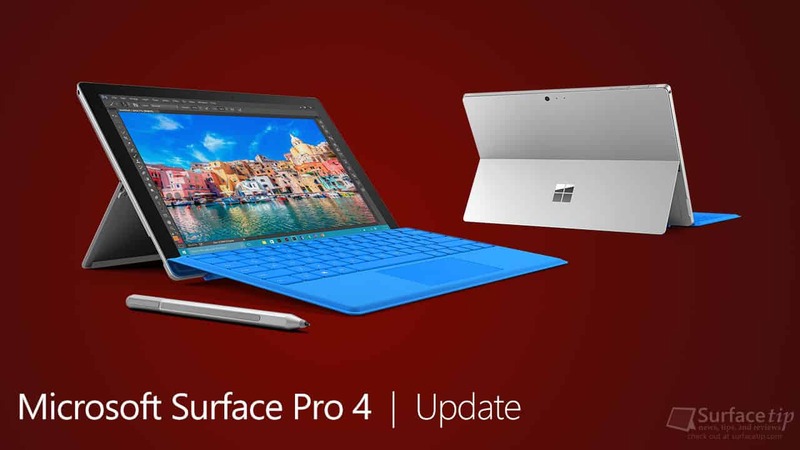 This week Microsoft rolled out a ton of new firmware updates to all Surface Pro 4 devices. This update will be available to all Surface Pro 4 devices running Windows 10 Fall Creators Update and later only. According to Surface blog for IT Pro, the new firmware updates will improve the overall system stability, reliability, especially to resolve potential security vulnerabilities including Microsoft security advisory ADV180012 and ADV180013. The update should be listed as “July 25 release” in the Surface Pro 4 Update History page when it available. Below is the new driver version with improvement information for the update. Intel(R) AVStream Camera 2500 – Camera v30.15063.6.6082 improves system stability. Intel(R) HD Graphics 615 – Display adapters v24.20.100.6136 improves system stability. Intel(R) HD Graphics 620 – Display adapters v24.20.100.6136 improves system stability. Intel(R) HD Graphics 640 – Display adapters v24.20.100.6136 improves system stability. Surface Management Engine – Firmware v11.8.50.3448 improves system stability. Surface UEFI – Firmware v108.2224.768.0 improves system security. Intel(R) Precise Touch Device – Human Interface Devices v1.2.0.100 improves system stability. Intel(R) Display Audio – Sound, video and game controllers v10.25.0.8 improves system stability. Microsoft Control Logic – System v30.15063.6.6082 improves system stability. Intel(R) CSI2 Host Controller – System 30.15063.6.6082 improves system stability. Intel(R) Imaging Signal Processor 2500 – System v30.15063.6.6082 improves system stability. Intel(R) Management Engine Interface – System v11.7.0.1057 improves system stability. Intel(R) Serial IO GPIO Host Controller – System v30.100.1725.1 improves system stability. Intel(R) Serial IO 12C Host Controller – System v30.100.1725.1 improves system stability. Intel(R) Serial IO UART Host Controller – System v30.100.1725.1 improves system stability. Intel(R) Smart Sound Technology (Intel(R) SST) Audio Controller – System v9.21.0.3347 improves system stability. Intel(R) Smart Sound Technology (Intel(R) SST) OED – System v9.21.0.3347 improves system stability. Microsoft Camera Front– System v30.15063.6.6082 improves system stability. Microsoft Camera Rear – System v30.15063.6.6082 improves system stability. Microsoft IR Camera Front – System v30.15063.6.6082 improves system stability. If your Surface Pro 4 hasn’t yet installed the update, it should be displayed in the Windows Update now. Click here to download the latest Surface Pro 4 Drivers and Firmware from Microsoft Download Center. We appreciate hearing your thoughts, questions, and ideas about “Microsoft rolled out a huge firmware update (July 2018) for the Surface Pro 4”. Please post respectful comments and on topic. We will be replying back to you as soon as possible. Share your idea about "Microsoft rolled out a huge firmware update (July 2018) for the Surface Pro 4".